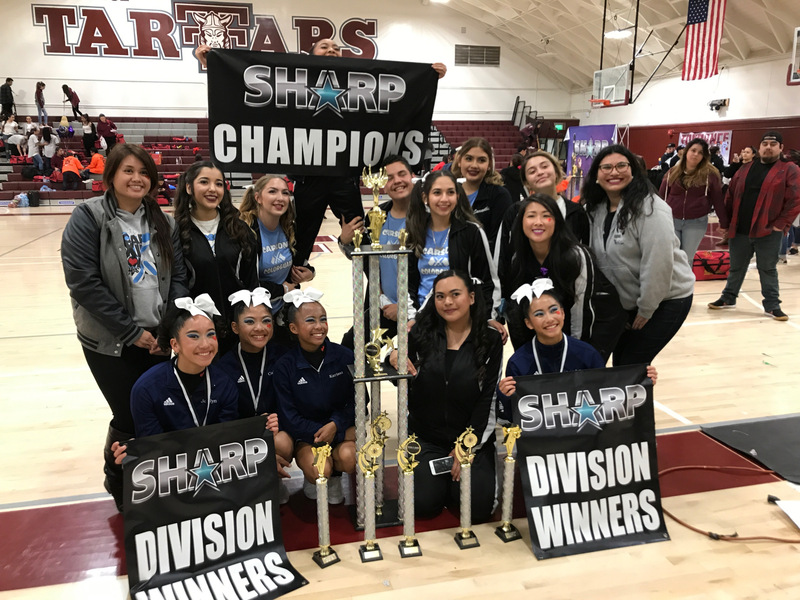 Colorguard and Flaggies won their first competition at Torrance high school on Saturday March 3, for the Sharp Competition. The girls got first place for Sharp Champions and Division winners. These girls put hard work and dedication into their practices and performances. Both of these teams practice everyday from 3:30 p.m. to 6 p.m. These practices everyday pay off with the outstanding performances the girls bring to the table. Color Guard had a theme performance that was called “PJ party.” Flaggies performances goes into the division of pop music. The team winning this big trophy has inspired both of our colorguard and flaggies team. The inspiration that they have from this experience is that they want to keep pushing and keep striving to win more trophies ahead of them. They will be having more competitions later; the next competition for flaggies is April 7 called Miss Drill in Irvine, so let’s wish our girls some luck!